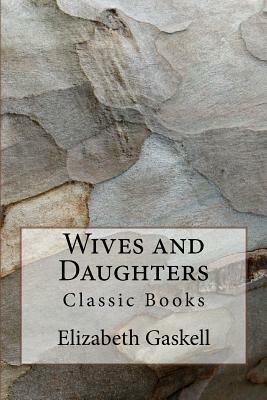 Wives and Daughters (1865) Young Molly Gibson, raised by her widowed father, loses her way during a visit to the local aristocratic 'great house' of Lord and Lady Cumnor. She is discovered slumbering and put to bed in Mrs. Kirkpatrick's room and stranded in the mansion. Seven years later, Molly is an attractive if unworldly young woman, arousing the interest of one of her father's apprentices. Her father sends her away as a result. When he remarries, Molly has a new step-sister named Cynthia and she is worldly and troubling. The narrative then traces the lives of the two girls into womanhood within the gossiping society of Hollingford.